What is an herbal tonic? Wikipedia says this: In herbal medicine, an herbal tonic is used to help restore, tone and invigorate systems in the body or to promote general health and well-being. An herbal tonic is a solution or other preparation made from a specially selected assortment of the kinds of plants known as herbs. Why did I start doing herbal tonics? After cancer treatment, I wanted a gentle food/plant based method for detoxing and rebuilding my body on a cellular level. Who are herbal tonics good for? Anyone who wants to heal their body in a gentle and natural way. Find someone in your area who understands herbal medicine. If you are taking prescription medications, I would talk to your doctor about possible interactions. I am not an herbalist. 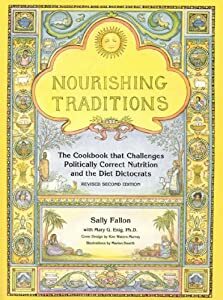 I created these recipes based on the herbs and foods that were recommended to me by my practitioner. I wanted to share some of my favorite recipes that I have created over the last year. They continually evolve and change as I try new ingredients. But many of the basics stay the same. You can try mine or create your own by using herbs that are suitable for your needs. 1. Blend all together. I use an 8oz cup from Magic Bullet. Perfect size for one serving. 2. Pour into small stainless steel sauce pan and warm over low heat. 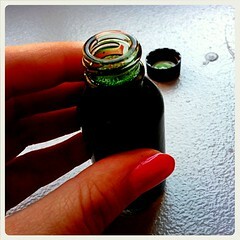 A splash of vanilla extract. Mix slowly as it warms. Don’t let it get too hot! 3. Pour into your favorite mug and drink it up while its warm. Herbs metabolize better warm. Maca has gained a reputation for helping balance hormones and reverse hypothyroidism. It is an endocrine adaptogen, meaning that it does not contain any hormones, but rather it contains the nutrients necessary to support normal hormone production. Passion flower is a natural aromatase inhibitor which helps to remove excessive xenoestrogens. Oat straw is high in silica which aids in the production of healthy cells of your skin, hair and nails. Raw cacao is for taste and is very high in antioxidants. High in gamma linolenic acid (GLA), an essential omega-6 fatty acid found in borage oil and egg yolks that has been proven to naturally balance hormones. “Perfect protein” not only containing all 20 amino acids, but also each of the 9essential amino acids that our bodies cannot produce. Goji berries are amazing little superfruits that contain natural anti-inflammatory, anti-bacterial and anti-fungal compounds. Their powerful antioxidant properties and polysaccharides help to boost the immune system. Extra virgin coconut oil has a lot of hormone precursors like pregnenolone. You can take coconut and convert it to cholesterol and then convert it to pregnenolone. Horsetail tea high in silica and tastes good. 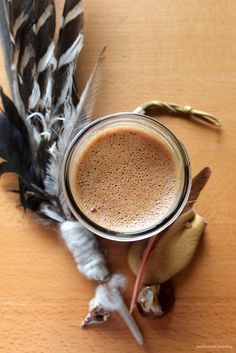 You can also try some adaptogenic teas like gynostemma, reishi mushroom, chaga mushroom. I will add more recipes when I can. Let me know if you have any questions! I have been absolutely amazed by Lymphatic Drainage Therapy! There is way more to it then I’ve even come close to realizing. The intricate details of it all is so fascinating! Why is Lymphatic Drainage Therapy important? 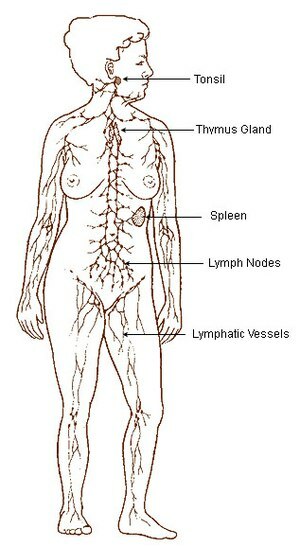 ~ The lymphatic system is basically the center of our immune system. The immune system is our body’s defense system against infectious pathogenic viruses, bacteria, fungi, toxins and waste. The immune system works to keep these harmful agents out of the body and attacks those that manage to enter. The lymphatic system also circulates fluid including immune cells, proteins and hormones that are vital to maintaining physiological well-being and balance. Lymph accumulates wherever there has been physical trauma, to clear away dead cells, bacteria, and bring white blood cells to fight infection. A good application of lymph drainage therapy is beneficial prior to and after surgery. Before surgery, LDT cleans out any old debris and sets the stage for optimal healing by increasing blood flow and good lymph flow. After surgery, it does the same, which allows the body to heal up to twice as fast because the lymph carries away the surgical debris and detoxifies the area, and more oxygen is brought in by increased blood flow. When the patient is happy, so is the doctor. Regular drainage stimulates the immune system to release over four times as many disease fighting white blood cells that can effectively fight off flus and other transmittable diseases. In fact, lymph drainage can be performed on every organ of the body to help it do its job better. Joints of the body also contain lymph, which can get trapped there and cause pressure to build up and cause pain. Tight joints can be released by small, precise movements that allow fluid to escape, release muscles, increase mobility and decrease pain immediately. This technique can work for joint pain, a sprained ankle, or can enhance an athlete’s sports performance by allowing more freedom of joint movement. Lymphatic fluid and its proper movement is vital to every part of the body, and LDT is a powerful therapy to manage lymphatic movement. LDT is a powerful tool to enhance everyone’s path to optimal health. What is the process of LDT? 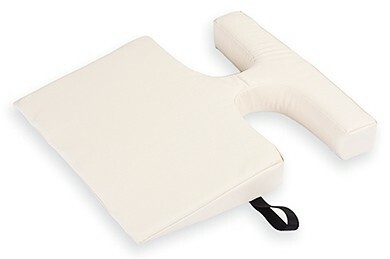 ~ The LDT process involves the use of gentle manual techniques to aid in the re-circulation of body fluids. The pressure is generally very light with a specific rhythm, direction and depth. 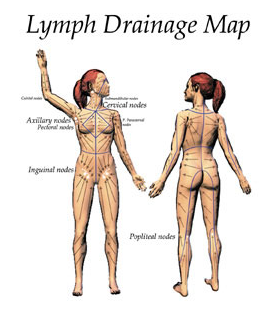 Mapping is used to help areas of stagnation find alternate pathways for draining lymph and other body fluids. 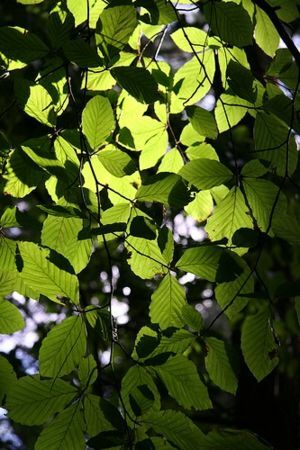 How does it feel?~ The process activates the para-sympathetic system which creates a space of deep relaxation, which is very healing. ~ need to boost your immune system… do you get recurring colds, infections or viruses? Session treatments are generally 30, 60 or 90 minutes depending on your goals for healing and the nature of the condition. One or two sessions may be all you need for a tune-up, or multiple consecutive treatments may be needed to treat more complex conditions. As a body-worker for 14 years, learning LDT brought me to a new awareness of the functionality of our bodies. How everything works together in such a way that not much thought is put into it. For instance, have you thought about the relationship been two bones. Every bone in your body is attached to another bone. How is that relationship doing? Is it oscillating happily? Or is it stuck? Flow is key. Literally! Keep the bones happy, keeps the body pain-free. I want to thank and acknowledge my training through the Chikly Health Institute and Bruno Chikly for educating and training because this work is very much needed in this world. What is a probiotic? Why are they so important? Did you know that your gut is the center of your immune system? Your gut is also filled with millions and billions of bacteria that are constantly working to help break down the nutrients in the food you eat. Without these guys your nutrient absorption will be affected and so will your immune system. Do you think its important to have a strong immune system? I sure do!!! We all know that antibiotics kill bacteria, good and bad ones, so especially after a course is it very important to replenish the good guys!!! So how do I replenish good bacteria? Well you have many options! There are a lot of probiotic supplements. Just google it and you will find many. There are a wide selection and prices. How do you know which one to choose? And how do you know if they are even working? Well I’m not really going to be much help there because I’ve tried a few in varying prices and never felt much of a difference. Some even made my stomach hurt. It wasn’t until I tried cultured/fermented foods that I realized that my digestive system wasn’t up to par. That’s the seg-way to cultured/fermented foods! So all fresh organic fruits and vegetables contain beneficial bacteria on their skin. When foods are cultured or fermented, these bacteria are allowed to proliferate. Sounds funky huh? Well I thought so too, but when I tried them… “OH MY GOD!! !” My world was changed!!! I never realized what I was missing! Or what it meant to feel good. 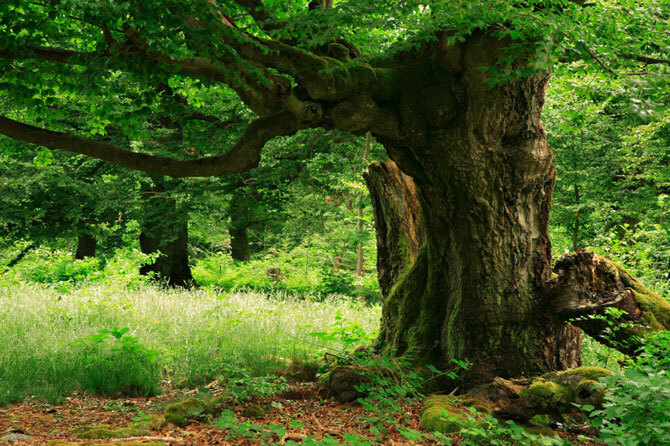 Our health is dependent on beneficial bacteria for our survival. Healthy flora keeps bad bacteria in-check!!! We NEED good bacteria to feel good:) Who doesn’t like to feel good? I think that is what we are always looking for. So what exactly are these cultured/fermented foods you ask? Well here is a list of a few with a link to a recipe on how to make it yourself. Learning about all of this can be overwhelming at first, but take it one step at a time. I started with kombucha. I first started buying it at the store, until I found myself buying it almost daily and realizing I couldn’t keep spending so much, so I started making it myself. Then a while later, I wanted to make beet kvass. That’s what really opened up my world! Delightful:) Then I made my own yogurt with raw milk, delicious! Then I made gingered carrots and sauerkraut. Lucky for you, you can actually find a lot of these already made for you at Whole Foods or Soothe Your Soul or your local health food store.